Hooray for Friday and some Friday favorites! After another rainy week, we are ready for some sunshine today! Even in the rain, we were able to have some summer fun with bubbles and reading. Even though it has been a rainy summer, we have been enjoying our summer. Having one fun activity planned for each day has definitely been helpful. Although we do not always do an activity, it helps having a list of options ready. The kids have been enjoying playing together as well and are constantly either playing a superhero game or indulging in their sister and playing house together. One of our favorite activities this past week, was playing with big bubbles. We made our own bubble solution using 2 gallons hot water, 1/4 cup glycerin, and 1 cup Dawn Dish Soap. Using straws and yarn we made some simple bubble wands. My friend mentioned she was reading a good book called Wool and it sounded really interesting. So I checked it out from the library and have been reading it. It is a digital copy and I realize I really don’t like reading fiction on my kindle. For some reason it doesn’t bother me with nonfiction. Anyways, I am loving this book! Right now I am trying out Loreal Revitalift lotion. I received the product in exchange for my honest review. So let’s see how it goes! I just started using it this week! Stay tuned for an update in 2 weeks. My 5 year old loves a lift-the-flap book. It is one of his favorite kind of books. He also has been loving reading different Bible stories. We love going through his Lift-the-Flap Bible stories book. It is full of flaps to flip and stories to remind him of God’s love. Today, we are partnering with Tommy Nelson and giving away a copy! Hooray! Just enter below! It is a privilege to be able to contribute to Huffington Post. Earlier this week I shared a post about tips for summertime. Sometimes I forget that what I do with writing and blogging is actually a job. There are lists of things to do, posts to write, brands to work with. It is a constant learning process but one that I absolutely love. Thriving Summer Giveaway *** Don’t forget to enter! I hope you have a wonderful Friday! Share some of your Friday favorites in the comments below! Search for the good in your week! Lift-flap books are always a favorite. Those bubbles look like so much fun. Have a great weekend! I bet she would love them! I do have to say the Kindle is great for at night- no need for a light! Thanks for the book recommendation! I am leaving for vacation next week and ‘find books to read’ is on my list for this weekend. The lift the flap book also looks great- my daughter would love that! Great! I hope you have a great vacation!! Oh, big bubbles always provide endless hours of entertainment! 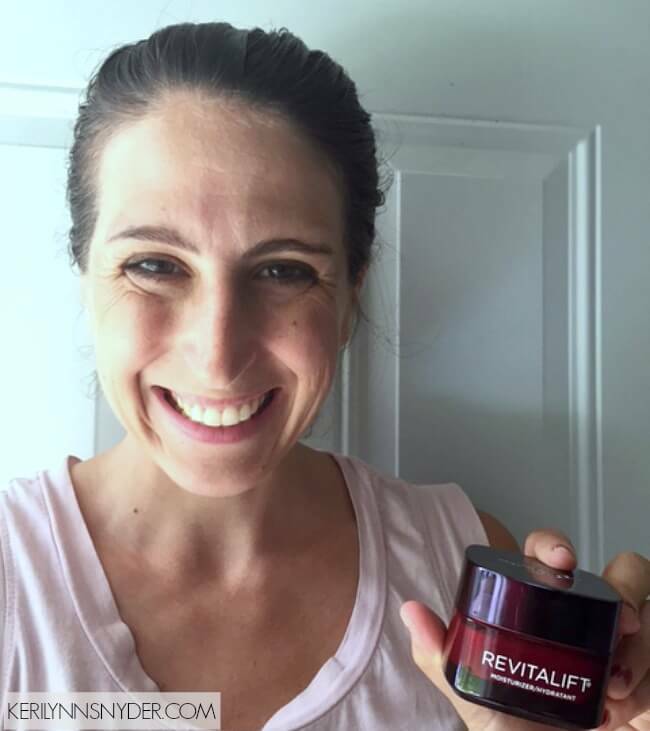 🙂 I’ve heard great things about Revitalift! They are such fun Bibles! I hope you like it! Bubbles are always a win! 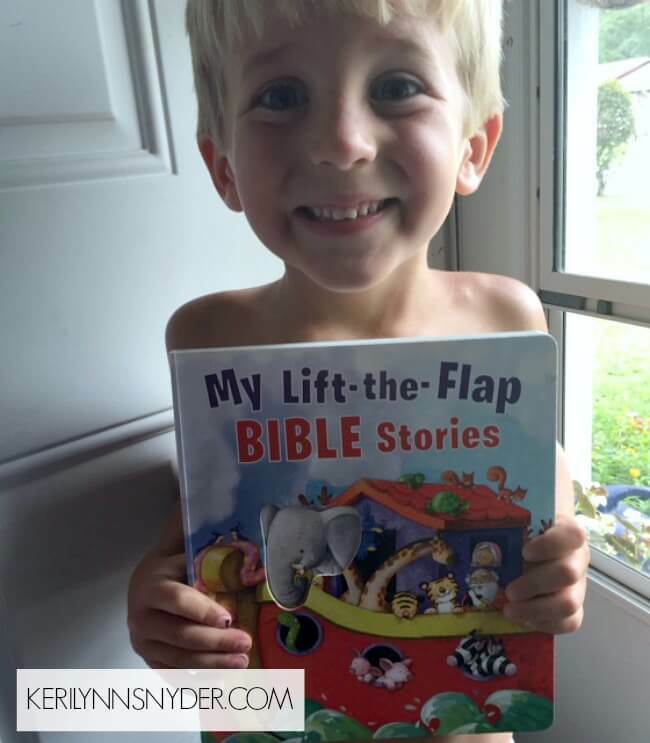 My littlest loves lift the flap books! Yes they are- awww they are perfect for kids! Bubbles and reading! What great ways to spend summer days! For sure- the best of ways! My little one has become obsessed with popping bubble with a plastic badminton racquet this week. I so wish I had her creativity! We’ve also been loving homemade popsicles and experimenting with new ingredients! That is really a great idea! Oh yum! We love homemade Popsicles! What all do you put in them? 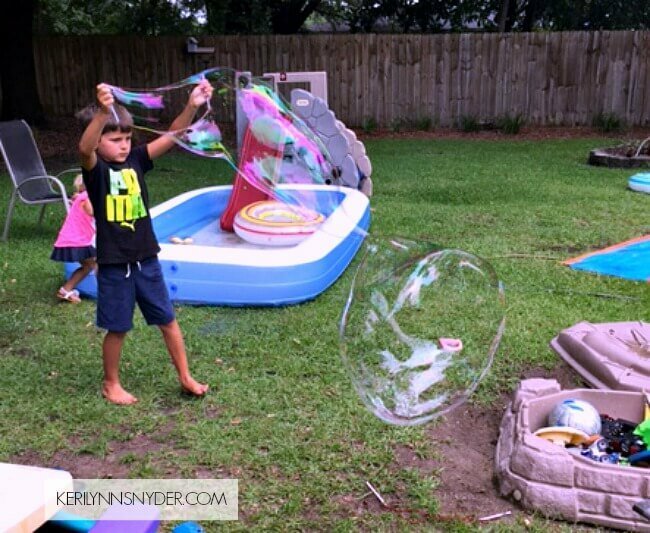 Bubbles are fun at any age, I’m convinced! I would have to agree Summer! Your 4 year old is adorable! I totally need to make those bubbles with my kids. I love your idea of one planned activity a day. It keeps the boredom away but is doable enough for even hot days. Having a list of summer activity options is such a great idea! Off to check out the book. It is definitely helping! I think the book may be the first of a series. Enjoy! I love bubbles!!! It looks like an absolute blast!!! I have been meaning to get in some reading soon. Face lotion is always a good thing! They were fun!!! My son did better with them than me! Hahahaha! It’s tricky to get it just right when no wind. Have a great weekend! My daughter loves the lift-a-flap books, as well 🙂 Anything you can mess with they love! Can’t wait to see how you like the face lotion, I am looking for a new one! Thanks Ashley! I also have some Beautycounter on deck to try so curious to see how that will be! Have a great day!